Making Together is a year-long programme of inter-generational making based activity initiated by Craftspace and taking place at Birmingham Settlement. 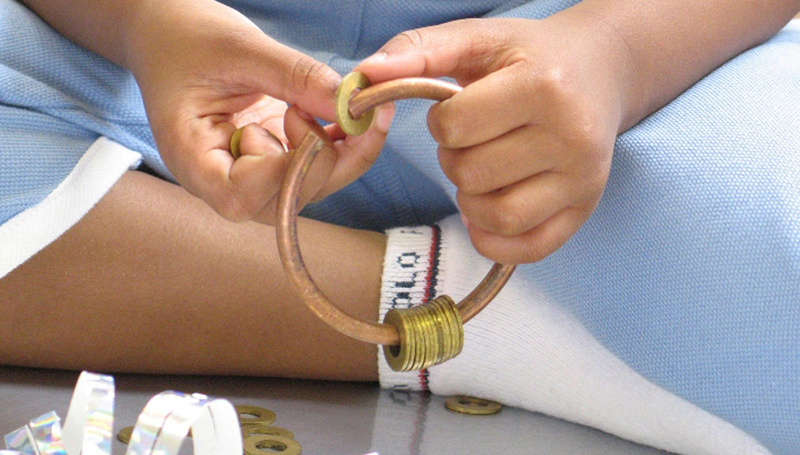 Emerging and established makers are working with early-years children (0-5 years) and their families in an open-ended way, exploring the processes and techniques used by artists who work in textiles, metal and clay. The project will provide an opportunity for children, parents, carers and grandparents to explore and make together. There are three sets of workshops, each focussing on a different material. The workshops take place at Birmingham Settlement in Aston, Birmingham during spring and early summer and are free. Are you a parent, grandparent or carer of children who are under 5? Free refreshments will be provided. Contact Maxine at Birmingham Settlement to book your free place (view details below).